Genie is updating its training courses, including train-the-trainer sessions, in accordance with the newly published ANSI standards. "These new standards carry with them some major changes and substantial additional requirements for training, with new requirements for supervisor training and enhanced operator training," said Scott Owyen, Genie senior training manager, Terex AWP. "Genie Lift Pro courses are designed to get trainers, operators and supervisors up-to-speed with the new standards efficiently and effectively, while continuing to promote safety and the development of the proper mindset to safely operate MEWPs in today's busy work environment." "We believe that the new standards will have a positive effect on safety in our industry, and appropriate, high-quality training should be at the forefront of every employer's company plan," said Owyen. "High-quality operator training programs should take a minimum of 3-6 hours to complete, including the hands-on practical component, depending upon the number of participants in the class and equipment classifications to be covered." 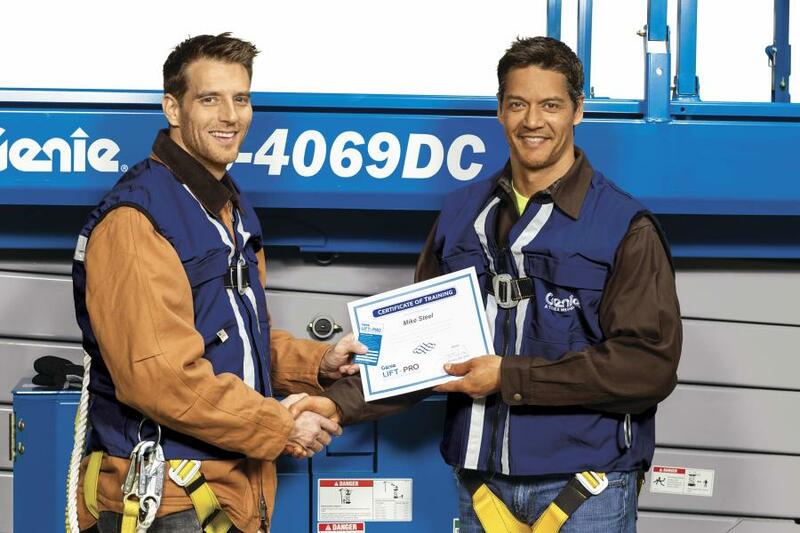 In addition to the updated operator training courses, a supervisors' training course is being developed — and, it will satisfy the training requirements for anyone who directly supervises a MEWP operator. For more information about Genie, visit www.genielift.com.